This scholarship programme is available to students for further studies in a government or private school or any institute recognised by the government in India for class XI and XII. 1. Family income not exceeding Rs. 1.5 lakh per annum. 2. Passed 10th Standard in the year 2008-09. 1. Percentage of marks secured in the 10th Standard. 2. Annual income of the family of the student. This scholarship will be provided over a period of two years. Renewal of the scholarship in the 2nd year is subject to the student being promoted to Standard 12th. The total number of scholarships in a year would be limited to a maximum of 6000. On the basis of percentage of marks, a maximum of 3 students per branch would be awarded this scholarship. The selected students will receive Rs 2,250 in the 1st month and an amount of Rs 250 for the subsequent 11months in their ICICI bank account. The same process will continue for the 2nd year. Buy AXIS Bank Ltd with a 3 months target of Rs.690. In the chart Head and Shoulders Bottom formed which indicates intermediate term bullishness. Institutional buying also is seen in this scrip. A safe buy. As settlement nearer, market would exhibit more violent movements on either side. CASA is the buzz word for many bank’s CEOs. 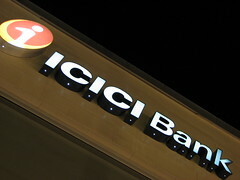 From ICICI Bank to Karur Vysya Bank announced that they are going to concentrate more on CASA ( Current Account and Savings account) to minimise their cost of funds. They need to pay meagre 3.5% for the monthly lowest balance. So all the banks coming out with premium or privilege accounts which require higher minimum balance requirements. They lure you with worthless freebies and services. we need not waste our hard earned money in parking these low interest bearing saving account variants. 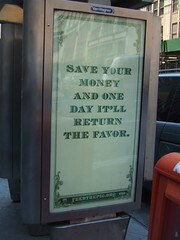 At the most you require two saving accounts. Close all other accounts. Use that fund to repay higher cost debts or park in FDs and liquid MFs. These small things add big returns to your hard earned money. As we are entering F&O settlement week, volatility expected to rise. Option players should enter May month contracts rather than current month. On technical basis, one may enter into Infotech Enterprises and Dewan Housing Finance with a expectation of more than 10 percent returns. For the detailed terms & conditions of the scheme - go here. “My advice is to stay away from the markets between 16 May and 30 May as there will be volatility in the markets post-elections,” Jhunjhunwala, 48, said in an interview. Our advice would be trade rather than invest. We expect volatility would increase many times. In these circumstances timing the market is very very difficult. It is advisable to trade in small quantities with strict stop loss and profit targets. Suzlon is again in the news. The media reports said that the prototypes supplied by Suzlon to REpower have been rejected by the latter for its project in Shandong province in China and that it had obtained the blades from another manufacturer. Wait for full facts to emerge. If it goes down another 20%, then BUY BUY. We are very bullish on this stock and may expect mind boggling returns in next 5 years. Good long term bet. These uncertain times gives opportunity to enter into this stock. SBI Mutual Fund has introduced a ‘micro systematic investment plan’ that would entail a minimum monthly SIP payment of only Rs 100 a month.The investment plan, named SBI Chota SIP, also includes a minimum lock-in period of five years, and is available on four select mutual fund schemes of the company. These are SBI Magnum Balanced Fund, MMPS 93, MSFU Contra Fund, and SBI Blue Chip Fund. This plan would be extended to other schemes as well, said a statement from SBI. The minimum redemption amount under this plan is Rs 500. Market is making new intra month highs. FII fund flow and gambling actions of few informed, well connected punters may be attributed to the reasons for market movement. Still caution advised. Trade with strict stop loss. Accumulate mid-cap IT stocks like Polaris, 3i Infotech for long term as they are having the potential to double . Avoid banking stocks even though their valuations are tempting. India Infoline , in it’s weekly wrap, termed the recent rally as a classical case of bear market rally. They expected the market to consolidate at the current levels and then would drift low. You can now compose your emails in Indian languages like Tamil, Hindi. When you compose a new mail in Gmail, you should now see an icon with an Indian character, as the screenshot below shows. This feature is enabled by default for Gmail users in India. If you do not see this function enabled by default, you will need to go the "Settings" page and enable this option in the "Language" section.When you click the Indian languages icon, you can type words the way they sound in English and Gmail will automatically convert the word to its Indian local language equivalent. For example, if a Hindi speaker types "namaste" Gmail will transliterate this to "नमस्ते." Similarly, "vanakkam" in Tamil will become "வணக்கம்." Gmail currently support five Indian languages -- Hindi, Tamil, Telugu, Kannada and Malayalam -- and you can select the language of your choice from the drop-down list next to the icon. Gold as an Asset Class has given comparatively good returns over the years. To cater to the investor’s growing need of investing in gold SBI MF have come out with an offering of a Gold ETF. We are launching our Gold ETF New Fund Offer – “SBI Gold Exchange Traded Scheme (SBI GETS)” from 30/3/2009. The New Fund Offer is open from 30/3/2009 to 28/04/2009. Smaller unit size – You can invest in as low as one unit of SBI GETS i.e. approximately equal to one gram of Gold. Minimum Investment amount will be Rs.5000 and in multiples of Re.1 thereafter. Liquidity - After allotment of units, units of the scheme will be listed on the National Stock Exchange and can be traded like any securities from the secondary market. There is no exit load.